Mel Tor – Grid ref: SX 693 726 Height: 346m a.s.l. 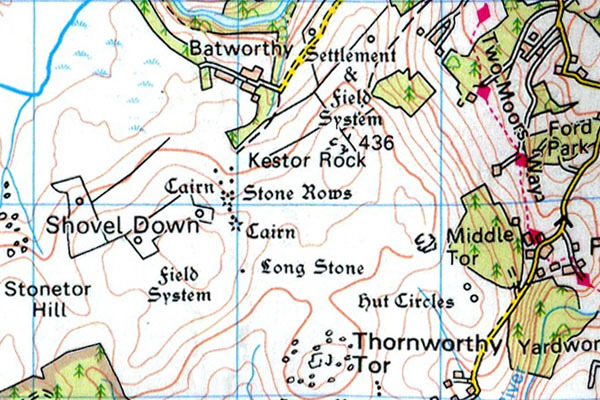 Middle Tor – Grid ref: SX 669 858 – Height 410m a.s.l. Middle Staple Tor – Grid ref: SX 540 756 Height: 431m a.s.l. 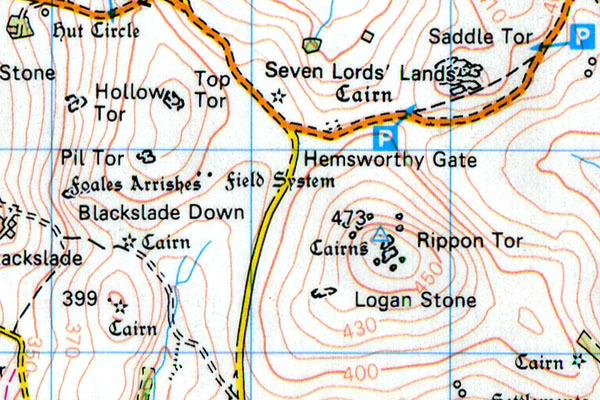 Middle Staple Tor is part of the ridge line that is dominated by ‘Great Staple Tor’. This tor however is worthy of its’ name, providing some beautiful weathered rocks standing 20ft into the skyline. 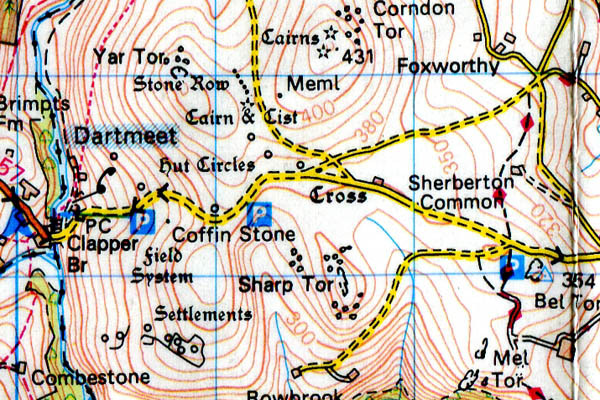 As part of a walk to or from Great Staple Tor this tor should not be by-passed. 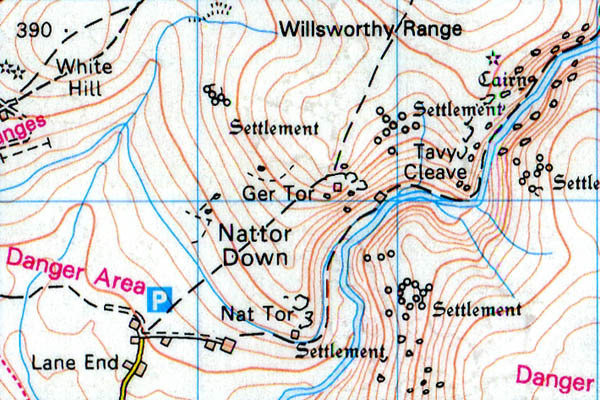 Nat Tor – Grid ref: SX 545824 – Height 350m a.s.l. 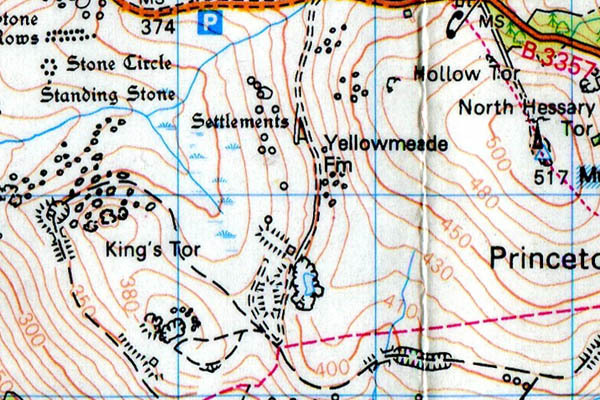 Nat Tor is Incorporated in the large boulder field of Nattor Down. North Hessary Tor – Grid ref: SX 579742 Height: 517m a.s.l. 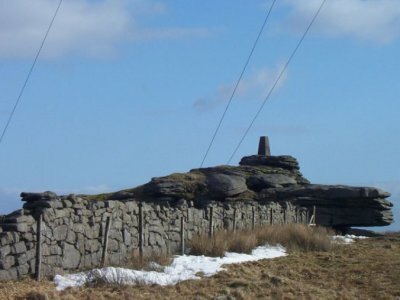 North Hessary Tor is home to a large scale telecommunications mast. There is also a Trigonometric Survey Pillar. When you reach the top you will appreciate why the survey station is are situated here with the tors commanding views of Plymouth and surrounding towns of Princetown & Tavistock. The construction of the mast is impressive and the cables supporting the mast are as thick as your arm. Hollow Tor (to the North West) is well worth the detour if you wish to take a more circular walk home. 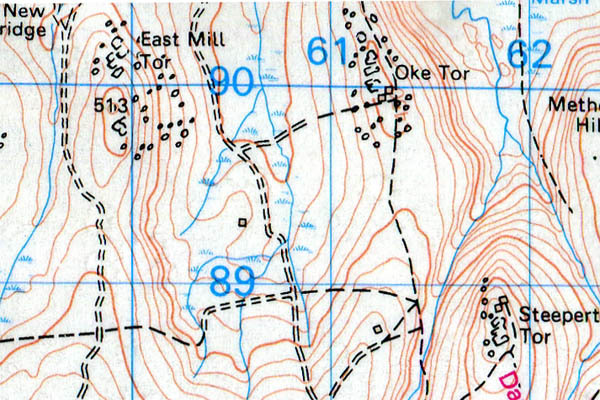 Oke Tor – Grid ref: SX 612901 – Height 466m a.s.l. 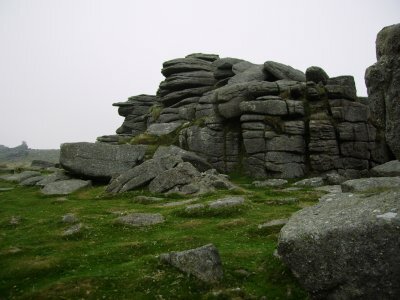 Part of Belstone Tor ridge. 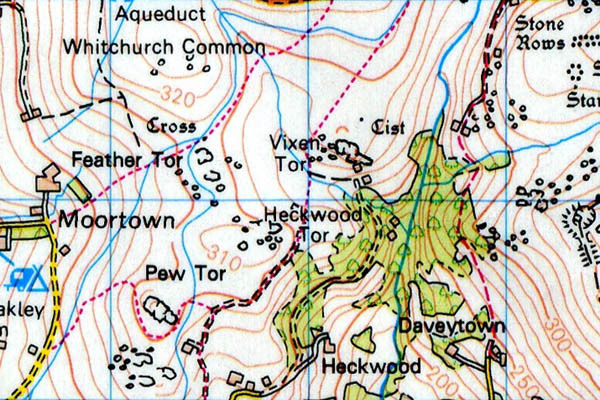 Pew Tor – Grid ref: SX 532734 Height: 320m a.s.l. Pil – Grid ref: SX 735 759 – Height 430m a.s.l. 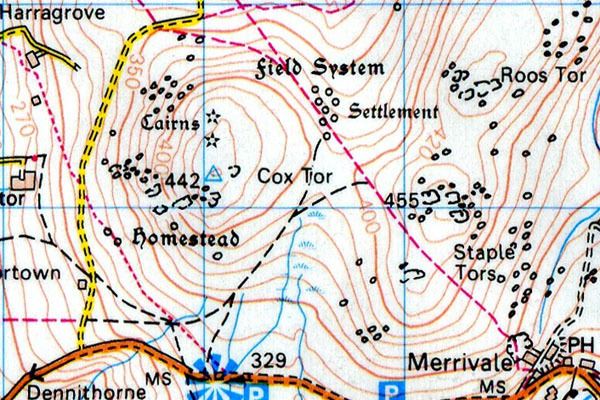 Pil Tor is not a summit it is located on Black Slade Down.